"Dr. Watemberg's bedside manner is very rare, you will NEVER find a doctor like him. He is very friendly, kind and it's a pleasure to have him as my family PCP. Thanks FOR ALL YOU DO & your staff!!!" To treat you as if you are the only patient we have. To create a collaborative relationship between you, your other doctors and your care team that extends beyond sickness. To help better support you in managing your health and well being. We embrace our corporate motto: Exceptional care, every patient, every time. A primary care physician is a generalist physician who provides definitive care to the undifferentiated patient at the point of first contact and takes continuing responsibility for providing the patient’s care. Such a physician must be specifically trained to provide primary care services. Primary care physicians devote the majority of their practice to providing primary care services to a defined population of patients. 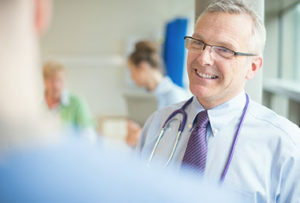 The style of primary care practice is such that the personal primary care physician serves as the entry point for substantially all of the patient’s medical and health care needs – not limited by problem origin, organ system, or diagnosis. Primary care physicians are advocates for the patient in coordinating the use of the entire health care system to benefit the patient. Texas Health Care is a multi-specialty physician group practice with a current membership of more than 150 physicians throughout Tarrant County. Our physicians are highly regarded and known for providing excellent healthcare in North Texas. As part of our commitment to excellence in every aspect of our operation, we maintain a professional, hands-on business office with experienced personnel who are well-versed in all aspects of insurance billing, coding and coordinating with a variety of insurance companies and health plans. We monitor every aspect of our insurance-related activities and work closely with our providers to ensure the accuracy of our data and determine appropriate and timely reimbursement schedules. For further information about contracting with Texas Health Care PLLC, please contact our Central Business Office at 817.740.8400.